How Does the Church Relate to Israel? 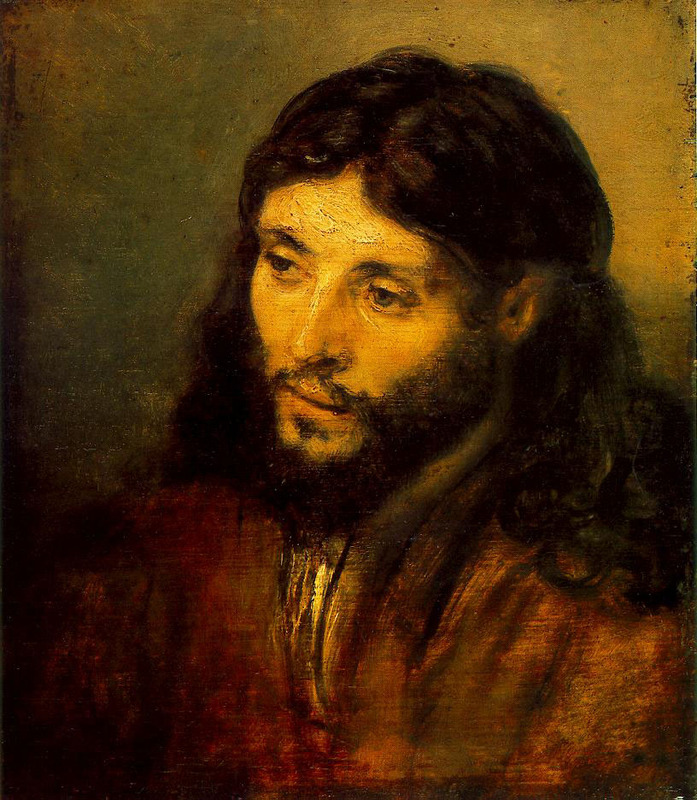 I recently heard from a former student about a pastor who said that Jesus was not a Jew. I am not sure how this individual arrived at this conclusion, but he was one of those who believed that the church 'replaced' Israel. I suggested to my student that he direct this pastor to Romans 11:18 where it says "the root supports the branch" and not the other way around. In this verse, and the surrounding context, Paul argues that God has not abandon Israel and that Gentiles should not be arrogant that they were grafted in. Historically, however, the church has overlooked this verse and followed the path of replacement theology. By coincidence Michael Bird has started a series on the Church and Israel. Knowing what I do about Michael's work I think it will be a good series. Below are the links to the first two parts of the series. One of the artifacts I most enjoy visiting each time I am in Israel is the Galilee Boat. Some people call it the Jesus boat, but since there is no evidence that Jesus was ever on it or even set on eyes on it, I prefer to call it the Galilee boat. The boat is 2000 years old and was discovered by two brothers in 1986. It was during a time drought and the two discovered it in the mud left behind by the receding waters. It is a significant find since it is rare that such maritime artifacts are recovered. And even if Jesus never did sail on it we can still use it to help us better understand the world of Jesus and his disciples. Yet another reason for you to visit the holy land. Below is a pair of videos that relate the story of the boat. I think you will enjoy them. I am sitting under a fig tree enjoying an afternoon breeze off of the Mediterranean and listening to Les Miserables. Apart from the music, this is a typical afternoon in the holy land. The day starts off somewhat cool, heats up consistently and then, just when it seems unbearable, the winds shift and it begins to cool again. It is easy to live here without air-conditioning if one must. I have been coming in and out of the holy land for 16 years, including a year that Lori and I lived here. One thing that has struck me as odd is when some who study the Bible express no desire to come to the land of the Bible. I realize that I have been fortunate to come and go as often as I have and I don't mean to suggest everyone can follow my lead. I also realize that not everyone has the opportunity, finances or life circumstances that makes it possible to visit Israel and the Palestinian territories. But I have met people who study the Bible and can't see any reason to visit. Let me list a few reasons why I think you should visit if you can. Although this land is very different than it was in the days of Jesus, there is also much that has remained the same. The same afternoon breeze I am enjoying would have been enjoyed by Jesus and his disciples in Galilee and Jerusalem. Experiencing the heat, the dust, the thirst, and the relief of water and a breeze or even the comforts of a small slice of shade help you to appreciate what it must have been like for the those living in those days. You can experience the climate of the Bible. One thing that is also substantially the same is the geography. Travel to Jerusalem up the steep mountain roads and you understand what it means to "go up to Jerusalem" or "down to Jericho." Although the holy land has modern highways, these roads pass along many of the same routes that were used by the ancients. The Jezreel valley is as beautiful and fertile as ever. The Galilee still yields fish and the Negev is still harsh and beautiful at the same time. When you go to a location you can read from the Bible and quite often see the exact place in which an event took place. Last week I took our group to the valley of Elah to read the story about David and Goliath. Even if you think the story is more myth than history, it is hard to deny that the author was very aware of the geography of the story. Such encounters help to bring the story to life. In fact, it is hard to go anywhere in this land without a connection to a biblical story. I took someone to a medical center in Bet-Shemesh the other night and could not help but think how this was the place where Israel regained the Ark of the Covenant back from the Philistines. Archaeological sites are a huge bonus for understanding the Bible. Seeing a first century city like Sepphoris, located only about four miles from Nazareth, gives you a glimpse into the surroundings of Jesus. Walk the ancient streets, roam the remains of a market and you can almost hear the crowds and feel the press of bodies around you. You begin to understand what it must have been like for an itinerant preacher and his disciples to enter such a place just to look for food or lodging for a night. Imagine what it must have been like if someone recognized him as that new/controversial teacher. Enter one of the synagogues in the region and see what it looked like to worship in such a building. 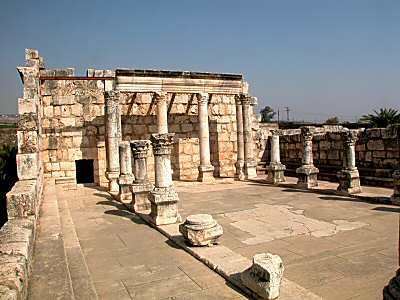 Visit the one in Capernaum and then go over to the place with a strong tradition identifying it as Peter's house. Suddenly you understand how small a Galilean village was. You can also understand how word about Jesus could spread so quickly so that by night fall, when the Sabbath had ended, people were lining up at the door to Peter's house to see Jesus. Or take a ride on the sea of Galilee and then visit the remains of a first-century boat to see the size and type of boats used like those reported in the gospels. There is also culture. The language here is mainly Hebrew and Arabic. Hearing people in Jerusalem at the Western Wall praying in Hebrew gives you a glimpse of what it must have sounded like in the synagogues and temple of Jesus' day. The food is modern, but echos the past. Olives, fish, cucumbers and pita bread were the staple of life in the days of the Bible and still are today. In short, being here adds to your understanding. Whatever the degree of your faith, or lack thereof, if you are interested in the Bible a visit to the Holy Land will only make you a better student. If you a pastor or a professor of the Bible you should make the effort to visit and learn. There are many fine opportunities from a standard tour to an educational course. Whatever you choose I promise it will be worth the money and your knowledge of the world of the Bible will be greatly enhanced. I don't read many biographies. But over the last few years I have read a few biographies and autobiographies by or about biblical and theological scholars. I find them interesting because I get to know the person behind the scholarship. so often all we know is the thoughts and opinions of a particular scholar on a particular topic. But biographies and autobiographies help us to understand the person better and they humanize the person behind the words. It is sort of like meeting your favorite DJ and getting to know the person behind the microphone. Here are some of the biographies/autobiographies I have read over the last few years. Tim Grass outlines the life of F. F. Bruce one of the most significant Evangelical scholars of the 20th century. He does so with originality, insight and a grasp of the implications for the church today. Evangelicals have often wrestled with two problems: the relation between academic theology and church life, and the quest for recognition of their status as credible interpreters of the Bible. Frederick Fyvie Bruce (1910-1990) was one of the most influential British biblical scholars of the twentieth century, and his career offers valuable insights into these issues, as well as shedding light on the ways in which Evangelicalism was changing from the 1950s onwards. I hope to read it is this year. I may not always agree with Bruce, but I look forward to better understanding him as a person and perhaps how his scholarship developed. A couple of weeks back I posted on why I think biblical scholars should participate in at least one dig. Over at Olem, Graham Rutter responds to my post bu suggesting that archaeologists should consult biblical texts and perhaps those of us who study them. You can read his post GO on a Dig! I have not been able to blog as often as I would like. I am in my fourth week of a five week trip to Israel to dig at Tel-Gezer. The schedule is very busy and the internet poor. And last week my wife was here and she was more important to me than my blog. I have decided not to post anything today since it is the 4th of July and most of my readers are from the United States. But I will be back tomorrow and hope to be more consistent again. Thanks for your patience and support.